How do I Choose the Best Cheap Scrapbooking Supplies? Greeting cards can be included in scrapbooks. There are many inexpensive supplies available for those who enjoy scrapbooking. Extra pieces of fabric might used to add decorative touches. Buttons are often used in scrapbooks. There are many ways to save money by choosing cheap scrapbooking supplies, and there are plenty of places to find them. There are online and physical stores that are devoted to selling cheaper items. Social networking with other people who enjoy the hobby of scrapbooking can lead to saving quite a bit of money. It is also good to search alternative places, and items can even be found in one's own house. 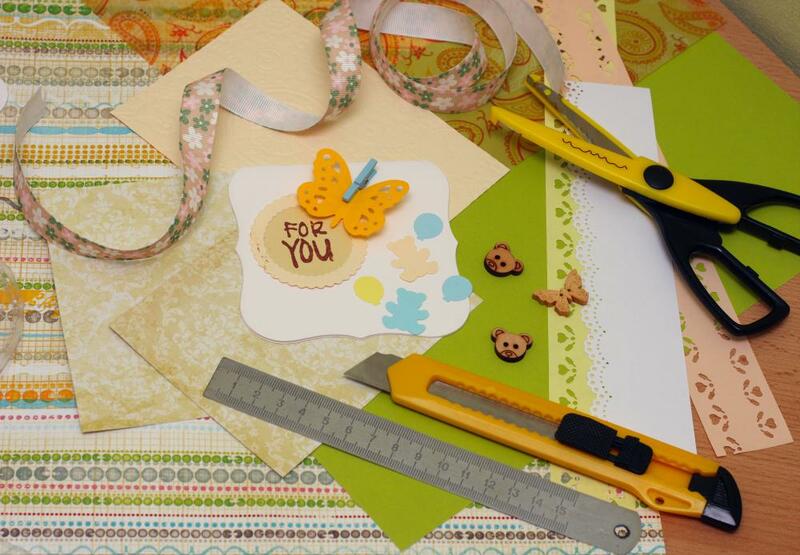 Scrapbooking stores sell many different types of supplies, but these outlets can be pricey. It is not difficult to pay a lot of money on only one visit to a store, especially since many smaller items can quickly add up. Great deals can be found in many alternative places. Many cheap scrapbooking supplies can be found simply through frugal shopping and price comparisons. Outlets like dollar stores can usually have the same items found in more expensive places. Much of the time, all a scrapbooker will need to save a lot of money is time and an Internet connection. Places to buy cheaper items online are practically limitless. Most are online stores, so it is easy to search several at the same time for a particular item to see who offers the lowest price. Auction websites are good for setting a specific price for cheap scrapbooking supplies, or for buying many items at the same time from one source. Trading sites make it possible to find other scrapbookers to swap items with. There are even websites where people may offer to simply give away their used scrapbooking essentials. Other websites exist for people to connect with others in their area who may share the same interests. Through these, meetings can be established where groups of scrapbooking enthusiasts can trade items or even sell them at cheap prices. Regular meetings can be scheduled as well, during which people can also share sources of cheap supplies. Thrift stores can actually carry many cheap second-hand scrapbooking supplies. In addition, these stores can carry many very cheap items that can be recycled and used to embellish a scrapbook. Thrift stores can have practically a limitless amount of books, toys, greeting cards, and more that can be altered and incorporated into a scrapbook. Part of what can make the price of scrapbooking supplies add up quickly is the need for the various items to be of archival quality. A casual scrapbooker, however, may not mind if everything associated with their projects is not made with archival materials, such as acid-free paper. A person will find that she can save a great deal of money on supplies that are not of archival quality. This is fine for people who want to enjoy the hobby of scrapbooking, without feeling like the materials need to be preserved in pristine condition. The ultimate cheap scrapbooking supplies are ones that are free, and can be found right in one's own house. Most people own things that will never be used again, so they are perfect to add to a book of memories in one form or another. This obviously includes old pictures, but items like stickers, wrapping paper, magazines, greeting cards, buttons, and more can be included in a scrapbook in one way or another. What Are the Best Tips for Book Making? How do I Choose the Best Digital Scrapbooking Layouts? What are Scrapbook Die Cuts? How do I Choose the Best Scrapbooking Stickers? I have found that great places to look for scrapbook supplies are stores that specialize in classroom and teachers' items. These specialty stores have everything you need for creative scrapbooking. The best time to shop at classroom supply stores is after Christmas when many items are often put on clearance to make room for new inventory. 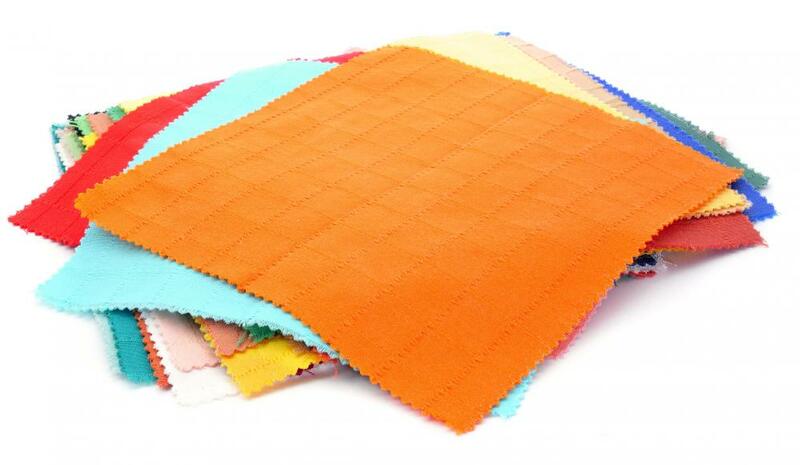 Retail stores that have craft departments often have good prices on scrapbook supplies. You may even be able to find many cheap scrapbooking items on clearance for a fraction of the price of regularly priced items.